Share the post "10 Beautiful Instagram Accounts for Bookworms"
Instagram is a beautiful place to be, and never more so for me than when I am gazing at books. Whether they be book stores, what people are currently reading, bookshelves, to be read piles, they are all going to lure me in and make me happy. First up, pop over and take a look at igreads. It’s a great account to follow as it’s a brilliant way to find others you like as they feature bookish snaps from all over Instagram. And of course, do follow The Reading Residence on Instagram and use the #bringbackpaper hash tag whenever you’re sharing any bookish or papery posts, a lovely community to be a part of and one snap is chosen and reposted every week. 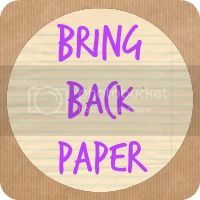 Have a read here to find out more about Bring Back Paper and how you can get involved. If you like this post do Stumble or Pin me, please! Win Tickets to Gardeners' World Live! Love this post I’m going to go have a look at them all – I definitely need some book inspiration! Lovely! They’re all so pretty! Thank you for this! Such a great list! They’re all so pretty! Enjoy! I know what you mean about scrolling for hours, I love looking at people’s ‘Shelfies’ there’s just something wonderful about a shelf full of books that pleases the eye, I’m off to follow the accounts you have suggested. There really is, it is addictive! What a fantastic post! I’ve noticed more book-themed accounts popping up on instagram. It’s so nice to see them. And I wholeheartedly approve of the #bringbackpaper campaign! Thank you! I love seeing the pics pop up. And thanks, lovely to hear! There’s a few ‘book’ galleries I follow on Instagram too as I love seeing the suggestions. Lovely knowing about these accounts too!